Robin poses with her cluster. 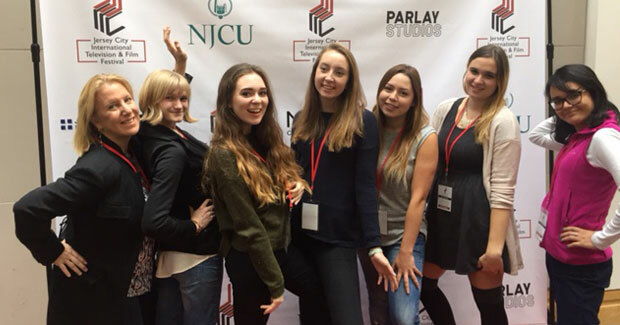 Our au pairs in New Jersey recently had the opportunity to participate in the New Jersey International Film Festival! 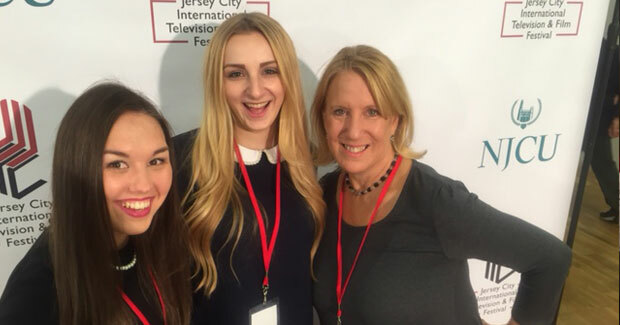 This festival is a truly international experience that was created in 2013 in order to provide the Jersey City community a chance to discover independent film from around the world. 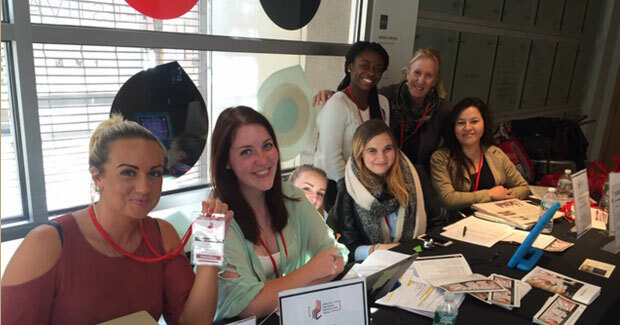 Local Coordinator Robin Winter-Bailey serves as the Volunteer Coordinator for this film festival, and she was able to invite her au pairs to participate in this exciting opportunity. “This festival is all about giving back to the community,” explained Robin. The festival was able to raise money to bring local choral group Golden Door Charter School Children’s Choir in order to join the South African filmmakers and perform in conjunction with the film When Voices Meet. This is a film about South African musicians and their activism and support of Nelson Mandela’s work. Natalia from Colombia said that her favorite film was Cupcake Bob because “it is eye-opening and fun at the same time,” and that her favorite part of the festival was meeting the filmmakers. 🌐 Epic afternoon light in the Glass Gallery. “I love the location!” said Natalia, from Colombia. The au pairs were able to meet artists at Mana Contemporary, and also met the building manager.